Knowing how to avoid alimony can help you save money when divorcing your spouse. However, it does take some pre-planning, lifestyle adjustments, and certain legal procedures. Many of the ways to avoid alimony correlate with how the Court in your state awards it. It's important to study the alimony guidelines in your state to find loopholes that can help you evade alimony payments. Before looking at specifics for your state, here are some of the ways people have been able to get out of paying spousal support. If you are planning to marry, you may want to consider getting a prenuptial agreement if you are worried you may have to pay spousal support in the event of a divorce. People usually ask for a prenuptial agreement when they make or have more money than their future spouse has since standard of living during marriage as well as the amount of income one spouse has over another usually factors into the determination of the amount for alimony payments. The Court determines the amount of spousal support by considering the income and lifestyle of each spouse. Therefore, if your spouse is living better than you are or is making more money, you will most likely not have to pay. However, this means that you may not be able to live as lavishly as you would have liked after your divorce. It may mean that you may have to take demotion at your job. Some spouses have even quit their job and claimed bankruptcy to avoid spousal support. Many states do not consider adultery as a factor in alimony, however, some states do. Keep in mind that you will have to prove infidelity to the Court's satisfaction. The amount you will have to pay also depends on how long you were married. Short-term marriages often don't end with an order for alimony. If you are in an unhappy marriage and don't see any hope for resolution, separate and file for divorce. If in the divorce settlement you acquire property that you must pay taxes on, it may help you with how much you will have to pay in spousal support. Therefore, it makes sense to take any property that your spouse is willing to relinquish if it means that you will end up paying less in taxes than you would in overall alimony. 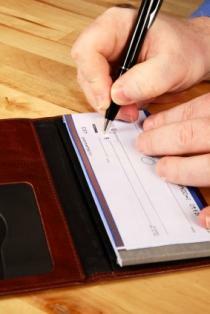 This may not be easy but it is a way to stop paying spousal support. If your spouse remarries, you are no longer required to continue your alimony payments to him/her. Researching how to avoid alimony may give you hope when it comes to not paying your spouse, but it may not be worth it. For many of the ways to evade spousal support, you will need to lower your income, quality of life, etc. so much that it would make better sense and make you happier, to live as you want and just pay out to your ex-spouse. By accepting that you will lose money one way or another, it will help you feel better about the situation. Furthermore, keep in mind that as the financial situation of your ex-spouse changes, so might the amount you will have to pay in alimony per the Court's decision. .